Have you noticed your Virgo man being distant or quieter than he normally is? Do you feel he is angry about something or maybe you have hurt his feelings in some way? Well, please don’t fret. At least until you have read through this article. What you are experiencing is not unusual with a Virgo guy and you just need to learn how to handle it. Towards the end of this article, I have inserted a couple of links to articles that you may like to read which could give your relationship a boost. The main thing is to try to think clearly and understand the signals he is sending out. Then decide on a course of action to put things right. A Virgo guy generally has a tendency to be a bit of an introvert. Initially, in a relationship, he can come across as shy and reserved because he is always thinking. This trait also extends to his work and hobbies and he can easily get immersed in things he finds interesting. Sometimes this leads to people around him being ignored. If your man seems cold and indifferent to you. Read the rest of this article for five possible causes that you may have not thought about. There could be lots of reasons why the Virgo man might pull back from you and seem unresponsive. It is annoying if he is not returning your calls and appears distant. But it may be nothing to do with you. It may look as though you have upset him in some way or you feel that he is losing interest in you. However, he sometimes just needs his own space to think through anything on his mind. You need to keep control of your emotions. A Virgo guy hates to be chased or crowded. Also, the last thing he wants while he is thinking is a needy woman bombarding him with phone calls and text messages. There are subtle things you can do to let him know you are there for him while he sorts himself out. The trick is giving him space but making sure he is thinking about you when he is on his own. The article below will give you some tips that you may want to use. A typical Virgo trait is that occasionally he needs his own space. He may crave some personal freedom to re-establish his own identity and assure himself that he is not being controlled. In order to get this, he distances himself from you. Without realizing it, you may have pressured him in some way. It is his inner self that is telling him to take a step back. You need to take an honest look at the relationship. Is he reacting to something that you are unaware of in his character? Do you really know everything you need to know about how he thinks and reacts to situations? 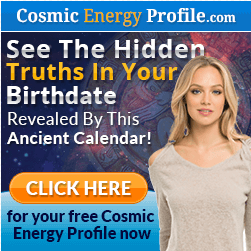 I recently reviewed a book by a devoted astrologer and relationship coach called Virgo man secrets. If you think any of the above relates to your situation, you may find it helpful to read My Article Here. It may yet not be a cause for concern. Providing he is still showing you ways in which he cares for you and is still spending some time with you. Without coming across too strong where he feels he is being cross-examined try to start a conversation to ask him how he feels. Be willing to listen to what he has to say without getting emotional or interrupting. Sometimes a relationship can get a bit samey without anyone really being aware. The initial sparkle starts to fade as each party becomes aware of the possible things that irritate them. Maybe all that is needed is a shot in the arm to reignite the passions. Take a look at This Article in which I delve deeper into how to keep a Virgo man on his toes and to keep him interested in you. The reaction of pulling back occasionally is quite normal in a Virgo man. Care needs to be taken in not getting upset about it and trying to pressure him. This will lead to resentment and he may lose complete interest in you. As with most people; A Virgo male will withdraw away from someone who has hurt his feelings. Underneath the polished exterior is a very sensitive soul which he takes a long time in exposing to other people. He has a bit of a tendency to criticize others a little too easily but resents it when he is criticized himself. However, the main thing you need to be is truthful. Virgo man has a real knack of being able to detect when he is being lied to and picks up if people are being honest with him or not. If you have said something that you did not mean, then apologize. Be sure you let him know you mean it because he will hold it against you if you are not sincere. Try and manage to lever it out of him, the thing that has caused his distant behavior. If it’s something he says you have done it’s worth apologizing immediately rather than berating him for being silly. He could be in love with you but still, pull away if things are not talked through and resolved. When things have returned to normal you can find a way of raising the subject again and then discuss it openly. In the early stages of a relationship, it’s all about finding out about each other’s, likes and dislikes. This sometimes takes a while to surface when the thrill of a new intimacy is forming. A Virgo man is prepared to give his all to a woman he loves as long as he receives respect for his feelings in return. The worst scenario, of course, is if he is showing less and less interest in you, or that he feels the relationship has run out of steam. A Virgo man may seem very hot for you in the beginning but has discovered something that is putting him off. Thoughts are crowding his mind and is deciding if things can be turned around. A trait of the Virgo man is his desire to have the perfect woman. Related reading: How to make a Virgo guy want you. A Virgo man has a very honest character and as well as expecting the same in his woman will go out of his way not to hurt her feelings. He has an image in his mind of his perfect woman. If something does not live up to this impression he may just drop out completely. Before you get to this stage you need to find a way of reigniting his passion for you. The most obvious way that most women try is with sexual allure. This however rarely works with a Virgo man. His intelligence tends to override his carnal instincts. Discovering His Secret Obsession may give you the answer. It is something explained in a short video. Something so important, but generally disregarded by women, because they don’t think the same way as men. As I have explained above, the Virgo man hates to be pressured, however, he will still relish a partner that can hold her ground. More about the Virgo constellation can be found here. In the initial stages of a relationship, the thrill of the chase overrides and outranks any flaws which may start to be looked at in detail later on. This is the time a Virgo man will pull back and see which way you will go! Is it best to chase him or will you be relaxed to see if he will pursue you? It is always best in this situation to try to establish some middle ground. You want to let him know you are interested but that you will not be taken advantage of. Pulling back too much may signal to him that you are not interested. Discover more about what makes him tick and how he thinks. 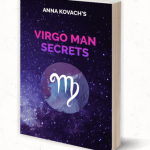 See my recent review of a book explaining all you need to know about a Virgo guy by Clicking On This Link. If your Virgo man is being distant steer clear of reaching out to him on social media because he will not relish your relationship being broadcast and analyzed by other people. An acceptable contact would be by email with a simple message along the lines of, “Hi, thinking of you today” and then back off and see what happens. 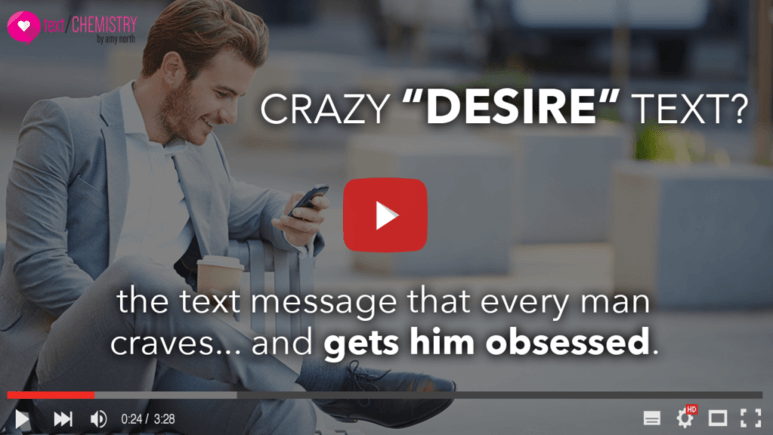 Alternatively, you may want to read my article on subliminal text messaging? This is a system of carefully framed words that can be sent by text that have a devastating effect on a man’s thinking. It is a way of contacting him that can make him think of you and how good things between you were. Check it out here. I hope it is the answer. 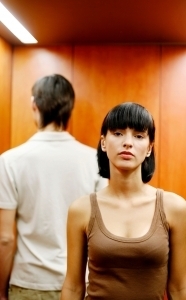 It is then up to him to get back to you, and by not over-reacting he will want to re-kindle the relationship. I hope this article has helped in understanding more about your Virgo guy. There are lots more articles on my website https://virgomen.net. Please feel free to bookmark for future reference.